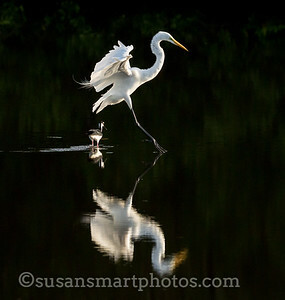 This Great White Egret just flew into Lemon Lake and landed next to a Black-necked Stilt. 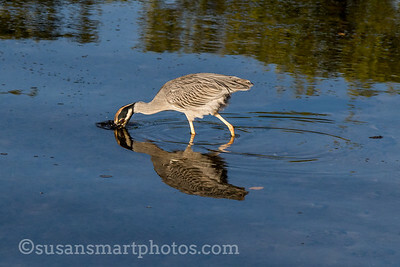 The early morning light and stillness of the water allowed for the nice reflection. 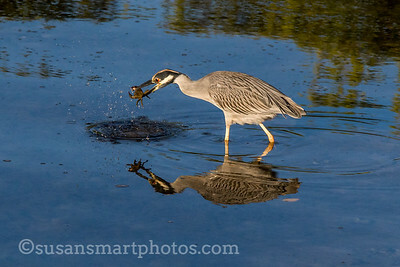 This was taken at the Celery Fields in Sarasota. 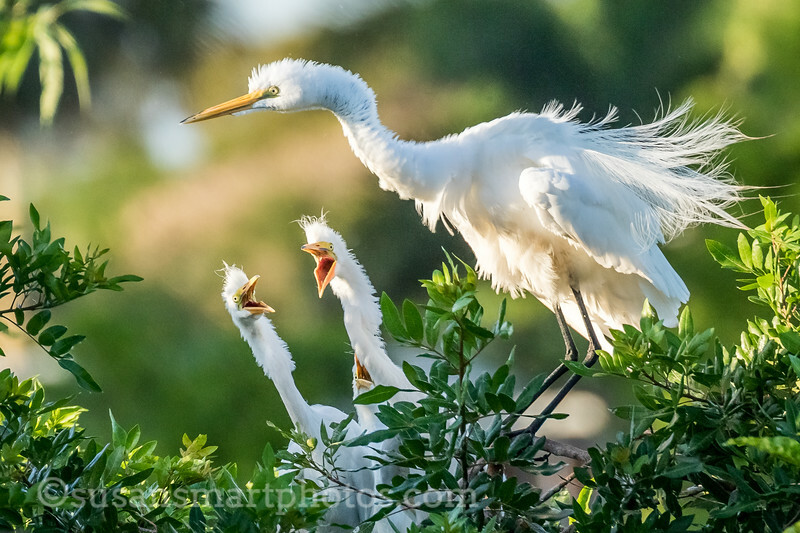 These hungry chicks are all excited as their mother prepares to fly from the nest at the Venice Rookery. 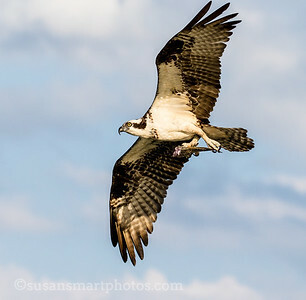 Osprey flying home with dinner near Englewood, FL. 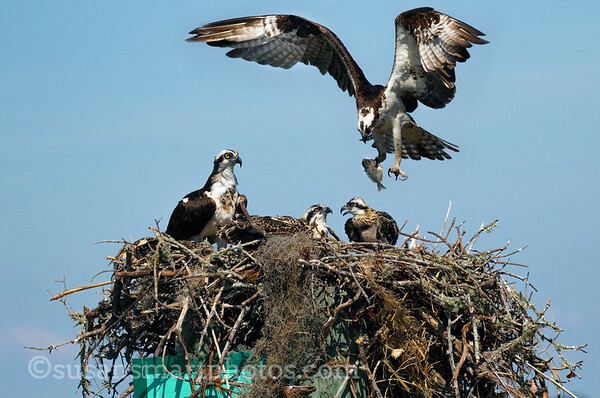 You'll notice that he has already eaten his share of the fish before flying home. 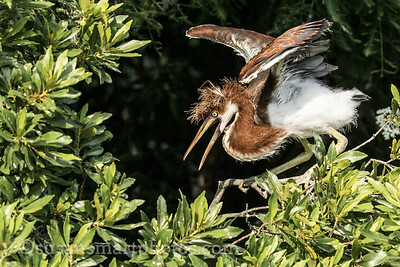 Young Tri-colored Heron chick stretching its wings. 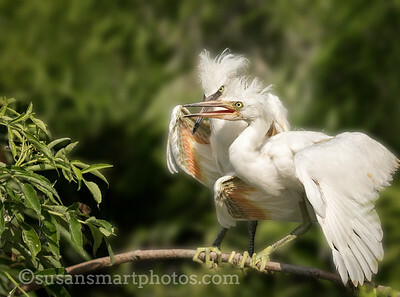 Taken at the Alligator Farm rookery in St Augustine. 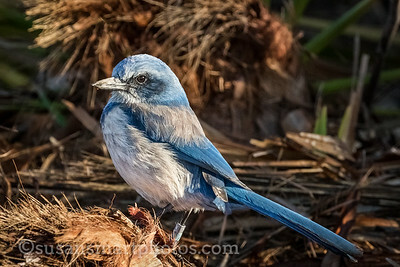 Florida's unique Scrub Jay thrives in areas of scrub oaks and sandy terrain. Unfortunately, this landscape is disappearing with development and so is the Scrub Jay. 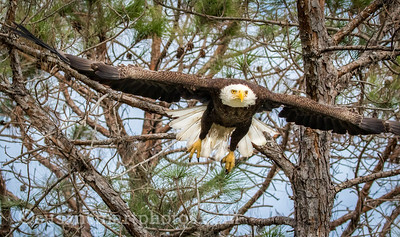 Taken at Shamrock Park in Venice, FL. 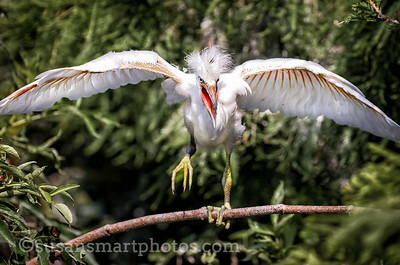 Young Snowy Egret exercising its wings...trying to fly. 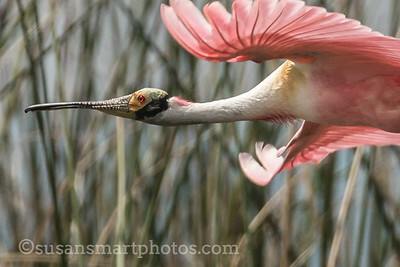 Taken at the Alligator Farm rookery in St Augustine. These Snowy Egret Chicks were anxiously awaiting for their mother's return. 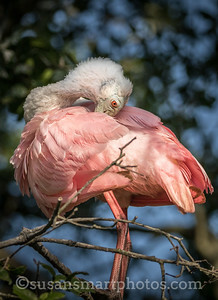 Taken at the Alligator Farm in St Augustine, Florida. 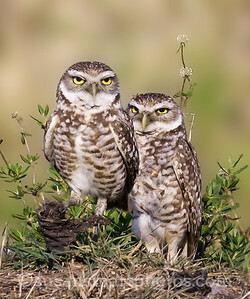 These two burrowing owls are posing by their nearby nest. 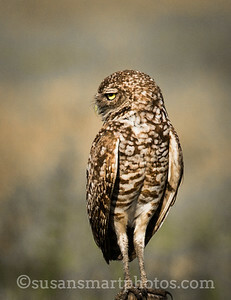 The owl on the left just returned with nesting material which he is holding in his right claw. 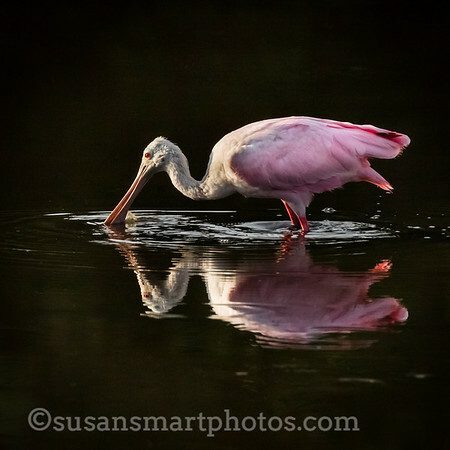 Photo taken in Cape Coral, Fl. 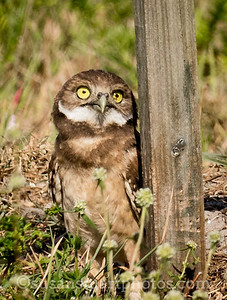 This little owl had come out of the nest and was watching its morhter fly. 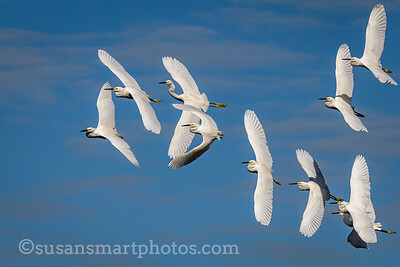 Taken in Cape Coral, FL. 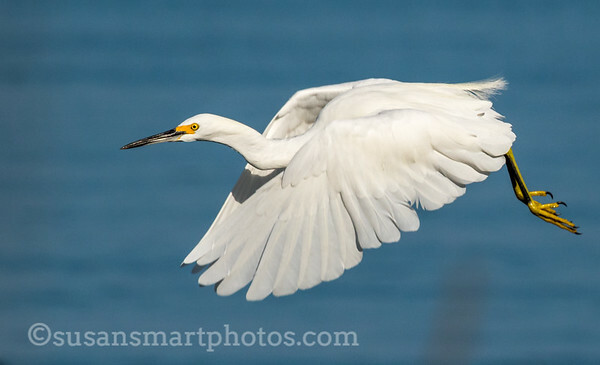 This egret had been searching the surf at Stump Pass Beach State Park for food but the pickings were slim. 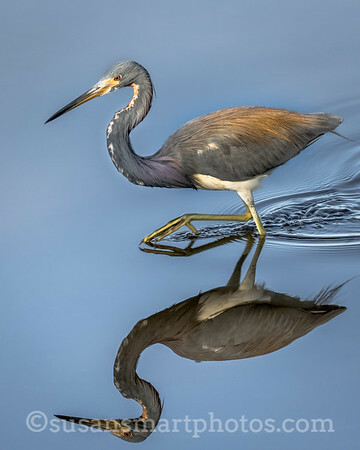 This Tricolored Heron was stalking her breakfast at Lemon Lake near Englewood. 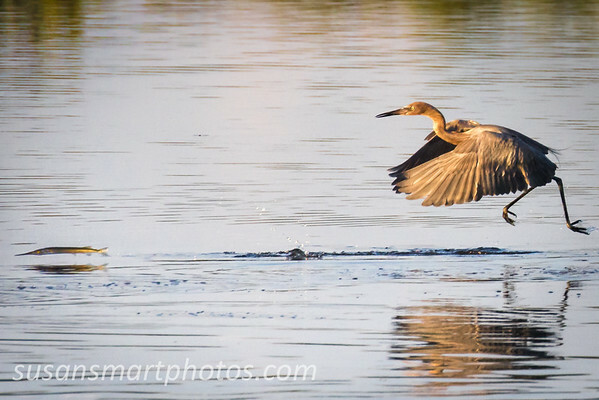 This Reddish Egret was dancing everywhere trying to catch his breakfast. 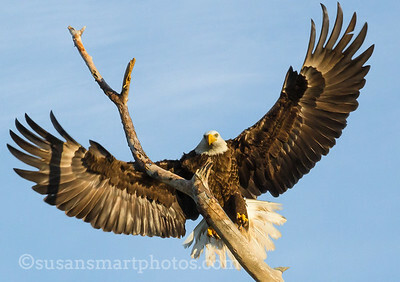 Taken at Ding Darling on Sanibel Island. 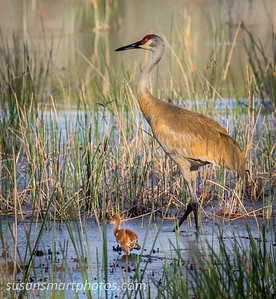 Chick could barely walk in the water and mud, he was so small. 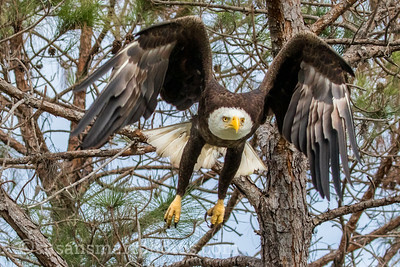 This Bald Eagle spotted something in a nearby pond and was intent on getting there. 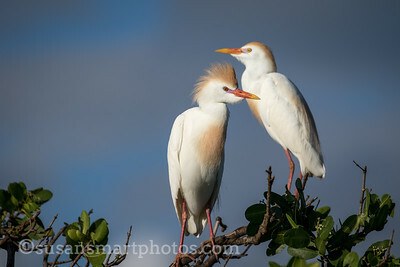 These Cattle Egrets are in their breeding plumage....at their rookery on the Peace River. 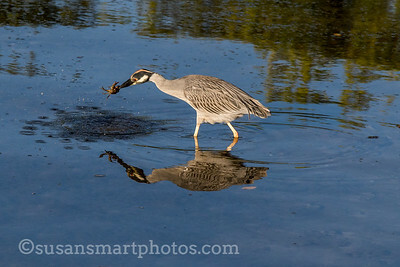 Yellow Crowned Night Heron going after a crab. 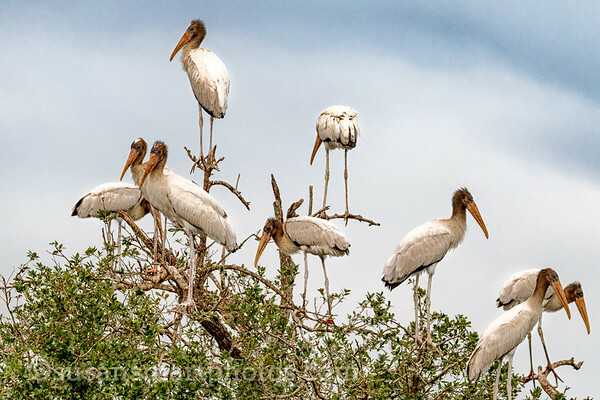 These young wood storks were hanging around in the rookery on the Peace River near Punta Gorda, Fl......probably hoping to be fed. 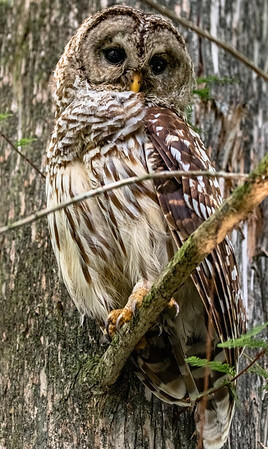 This Barred Owl was sitting above the boardwalk at Audubon's Corkscrew Swamp Sanctuary.